Ive been a bit late on writing this as I've been out loads since my purchase. I'll keep it short and.. This new open web elliptical coil is welcome addition for the CTX3030 armoury. The coil is Fully submersible to 3 meters and has negative bouancy so is prefect for searching under water or in surf etc. 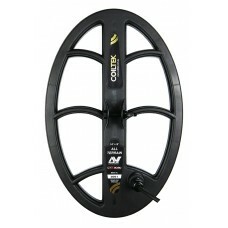 The coil designed to offer excellent target seperation without compromising depth. Pinpointing is fast and accurate. This coil is robust, strong and reliable and its ability to source the treasure amongst the trash is outstanding. Endorsed by Minelab, the coil utilises CTX 3030 technology and is rigorously tested to the highest standards.